Advance REL-3P32-SC Ballast. New. Altair Lighting AL-2665T. (RH3R) Recessed. New. AZ Displys AGM1264F-171. Wattstopper. Working Pull. Black Point Products Halogen Bulb, QMC-CL-DC/75 Watt, 130 V. Bryant Nylon Plug BRY5965Y. New. NEMA 5-15P. Burndy CCFDX-FR Clear Cover Case Kit. New. Carlon E98G20N Weatherproof Single Receptacle Cover. New. (6) Circuit-Test RP-1280-P AC Adapter. New. Coleman 5370B101 Krypton Bulb Assembly. New. Commercial Electric 369-605 Cord Reel. New. Convia GSE-SCD Scene Controller 1 Thru 4. New. Convia RJ45 Switch. GSE-SWD-WH. New. 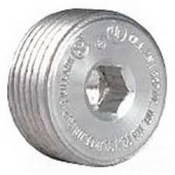 Cooper CGB293 Cable Fitting 3/4" Male NPT Steel With Nut. Cooper Controls ONW-P-1001-MV Switch Sensor. New. Cooper Crouse-Hinds GASK572 Gasket. New. Cutler-Hammer 5155C62H01 Filler Plate. Used. Delta Contols IZC230 REV 1.4C. Refurbished. Eagle Copper 270B, 3 Wire Black Duplex Grounding Receptacle. Eaton 456 Crouse-Hinds. Set Screw Type Box Connector. New. Eaton 458 Crouse-Hinds Set Screw Type Box Connector. New. 3 1/2" Eaton 650S Compression Type Connector. 1/2". New. Box of 50. Eaton 654 Crouse-Hinds Compression Type Connector For Thinwall. Eaton 66.0014.074-00RX Single Beam Light Barrier. Eaton 66.0014.074-00TX Single Beam Light Barrier. New. Eaton Crouse-Hinds 667 Compession Type Coupling, 3", New. Edwards Signaling 102LM-A Lens Module. Amber/Orange. New. Edwards Signaling 102LM-B Lens Module. Blue. New. Edwards Signaling 102LS-SLEDB-N5 Blue Light Source. Edwards Signaling 102LS-SLEDG-N5 Green Light Source. EGS 503536 Raised Surface Cover. New. EGS PN 503536 Raised Surface Cover. New. Elevator LED Lamp 24V. A001 Lamp. 660.005292. New. ELP 104110WH. Ceiling Light. New. ELP 104284-WH White Frame and Globe Light. New. ELP Snap in Easy Mount GU24 Socket. New. 500 Per Box. Epiphany Lighting 104854BK. New. 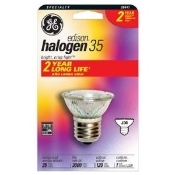 GE 20641 Halogen 35 Lamp Bulb. New. OEM. JRD. GE 303NR, G-E 303NR Bulb, Natural Red. Aircraft. GE 85369 High Pressure Sodium Bulbs. LOT of 3. GE 86675 Ballast, GEM100MLTLA3D-5/2. Magnetic Core and Coil. 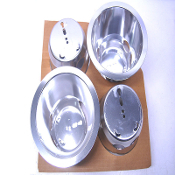 GE BP-FM Fluorescent Sockets. 2 Per Packet. New. 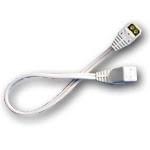 GE GE4310-12D Polarized Handy Outlet. New. GE GES1000ML5AA5-5 High Pressure Sodium Ballast. New. GE Relay Cat. No. RR7. Refurbished. GE, RS 2-32P Low Voltage Pilot Light Switch. Ivory. Used. Gripple CTI-1/8-10FT Kit. New. Gripple HF-TG-NO2-10FT Toggle Hangers. New. Gripple HF-YTQG-N02-10FT Kit. Gripple HF02-10FT Loop Hanger. New. Gripple HF2-CC-1/8-10FT Hangers. New. Gripple No.2 Weights. New. GB2210517. Hera SCC72/XL SlimLite Connecting Cable. 6'. Hera SCC12/XL SlimLite Connecting Cable. 2'. New. Hera SCC24/XL SlimLite Connecting Cable. 2'. Hera SCC48/XL SlimLite Connecting Cable. 4'. Hosobuchi OP2118 Lamp Bulb Replacement. 77904. 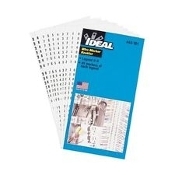 Hubbell 074-01-015. Kellems. F2-1. New. Hubbell AT277W Motion Detector Switch. Working Pull. Ivory. (7) Hubbell HBL9451C Plug, Nema 14-50P, 50A. Used. Hubbell LXOMDT2000FT, Passive Infrared & Ultrasonic Senson. Hubbell P-6297 Electric Plug Housing. Used. Hubbell Plug 330P6W Phase 3, 30 Amp, 30A, 250VAC. Used. Hubbell Raco 808C Exposed Cover. New. Retail Package. Hubbell-Raco 2942 EMT Compression Connector, 3", Raintight. 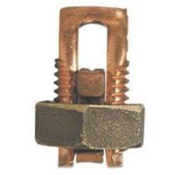 New Hubbell-Raco 3410 Uninsulated Liquid Tight Connector. New. Hybec 120V40W Light Bulb. New. Janmar 215B-18W Lighting. Refurbished. Joslyn Clark 90384 Rheostat Potentiometer. Used. Juno Lighting TL38BL Black Connector. Juno T538 Track Lighting Low Voltage Transformer. Black. Juno TL201LED-3K LED Track Light Adapter. Juno TL20WH Trac-Master. New. Juno TL34WH Trac 12 Conduit Feed, White. Killark Cup 3 CL.I.ZN GRP.II CL. New. Kurt Versen KV6574 SoftGlow. New. Lamson Outdoor Security Light Control. HS565A. Landlite CEB-85/140C Universal Electronic Ballast. New. Legrand CI-205 Occupancy Sensor. Passive Infrared. New. Ci-205. Legrand Turnlok Plug Connector L515-PCCV 15A 125V. (27) Legrand Wattstopper LTUB24 Box. Used. Leviton 000-9875 San 000 Keyless Porcelain Lampholder. New. Leviton 001-86005. New. Wall Plate. Ivory. Leviton 5821-I Single Receptacle, 20A, 250V, 6-20R. Leviton 7599. GFCI Outlet. 078477316412, New. Leviton OPP20-D1. OPP20-0D1. Occupancy Sensor Power Pack Leviton R01-2310 20A Twist Lock. New. Leviton S54-N. 5 Gang Wallplate. 5-Blank. Stainless Steel. New. Lutron NTFTV-lV Low Voltage Flourescent Dimmer Switch. LVS Controls EPC-1 Emergency Lighting Power Control. (8) MagneTek B132I120RH Ballast. New. 768386130864. MagneTek B232SR277V5 Electronic Ballast. New. 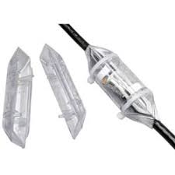 Malibu ML16250 Low Voltage Outdoor Lighting Cable. New. Mars 50327 Transformer. 4000Y08CJ15K00. Micron Impervitran Transformer B500-0572-8. Used. Novitas 01-360 Automatic Lighting Control. Warehouse Sensor. NuTone PB-9LPB Gold Push Button Doorbell. New. 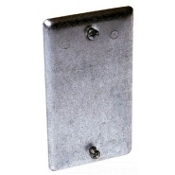 Pass & Seymour 93C6 Single Gang Wall Plate. New. (6) Pass & Seymour CD4FBLW Titan Commercial Slide Dimmer. New. Permaglobe GL100PGA Amber, 100 Series. New. Portfolio C6018E Compact Fluorescent Lamp. New. Pro Connex 49407 BX/MC/FLEX 1/2-Inch Squeeze Connector. QSSI MCT16V Door Bell Transformer, New. Raco 050169008607 Utility Box Cover. New. Steel. Raco 811C Raised Electrical Cover. 4". Refurbished. 12 Per Lot. Raco Toggle Utility Box Cover 050169008652. New. 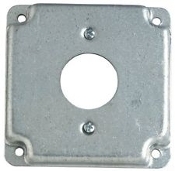 Red Dot 409105582 Metal Plate. New. Red Dot 651583 Two-Gang Duplex Cover. Metal. New. (6) Red Dot CTS Metal Plate. 4226944410. Sick 66.0014.074-00RX Single Beam Light Barrier. New. Sick 66.0014.074-00TX Single Beam Light Barrier. New. Siemens 32.1510.193-00, *01004150 Lampenhaus Vollstaendig. V Hooks 0690MODV 2 Per Bag. Lot of 32 Bags. New. VendingMiser ITE9T79 Security Light. Refurbished. Wamco 1090D4 Panel Mount Indicator. New. Wattstopper 437D839 Board. C24. Working Pull. WattStopper 437D883 Board. Refurbished. WattStopper 483C416 Board. 483417G01. Used. WattStopper 483C419 Board. Working Pull. WattStopper 483C430, PL8 Clock Keypad. Working Pull. WattStopper 579B372 Power Supply. Working Pull. WattStopper 579B372, HPSM115/277 Power Supply. Working Pull. . WattStopper 579B403 Board. Working Pull. WattStopper 579B409 Transformer Board. Working Pull. Wattstopper A-277-E-P Power Pack. New. Wattstopper AS-100-W InteliSwitch Automatic Control Switch.New. Wattstopper B277E-P Power Pack 277V 20 Amps. Used. Wattstopper B277E-P Power Pack. 277V, 20 Amps, New. WattStopper BZ-100E-P Power Pack Occupancy Sensor. New. Wattstopper BZ-150 Power Pack. Legrand. Ivory. Used. Wattstopper BZ-150 Power Pack. White. New. Wattstopper CI-105 Passive Infrared Occupancy Sensor. New. Wattstopper CI-205 Occupancy Sensor. PIR. New. White. Wattstopper CIT-105 Version 2. Occupancy Sensor. New. WattStopper Cl-100 Occupancy Sensor Passive Infrared +24VDC. 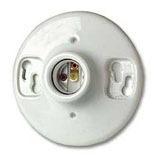 WattStopper Cl-200 Occupancy Sensor. New. Cl-200-1. Wattstopper CW Pat. 3,993,393 Ribbon Cable. Working Pull. WattStopper CX-105-1 Occupancy Sensor. New. White. WattStopper DCC2 Low Voltage Momentary Switch. New. Ivory. Wattstopper FS-PP V2 Fixture Integrated Sensor Power Pack. (28) Wattstopper HB300 Power Module. Model: 1136. New. WattStopper HB350B-L1 Mount Occupancy Sensor Passive Infrared. WattStopper HB350D Power Sensor. New. WattStopper HBL4 Lens Module, Watt Stopper 1134 Module. New. Wattstopper J230 Switch Button Covers. Ivory. New. WattStopper LCON-8 LI Input Connectors. 8 Per Package. Wattstopper LCVR8S Surface-Mount Hinged Locking Cover. WattStopper Legrand HDR-9 Heavy Duty Relay. Used. 34DY. Wattstopper LIN24 Lighting Control Panel MOD272. Used. WattStopper LIN8 Lighting Control Box. New. WattStopper LMSW-KIT-105-l, 5 Button Scene Switch. New. 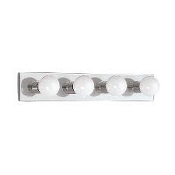 WattStopper LS-100X Lightsaver Controller Occupancy Sensor. New. WattStopper LTUB8 Lighting Control Panel. New. Watt Stopper. WattStopper LVSW-101-W Low Voltage Switch. White. New. Wattstopper PCB #04935. LI Native BACnet Interface. WattStopper PSHB120277-L2 HB Sensor With 360 Degree Lens. Wattstopper RM-1 Isole Receiver Cell With Splitter. New. WattStopper RS-100BA-W-CS Vacancy Sensor. White. New. Wattstopper RS-150BA-l. App Spec Resi Vacancy Sensor. New. WattStopper S120/277/347E-P Power Slave Pack Auxiliary. New. WattStopper TS-200-W InteliSwitch Digital Time Switch. New. WattStopper TW-6 Isole 6-Button Wall Mount Transmitter. New. Wattstopper WI-277G I, Passive Infrared Automatic Light Switch. Wattstopper Wl-277G Passive Infared Automatic Light Switch. Wattstopper WT-605 WT Ultrasonic Ceiling Sensor. New.